The She Wolf is a fantasy novella for young adult and preteen readers written by T.L. Needham. Ted Bredwell and his family have moved away from their house in the city to the outer suburbs. Ted's not too thrilled with the change, but his parents have explained it all to him. His dad had been out of work for a year, and they needed to sell their house. The builder of this new housing development had offered them this rental property at an affordable rate. Still, Ted misses the city and wonders about the farms and wilderness surrounding him. When we first meet him, it's a late summer evening and he and his little sister, Skye, are waiting for their parents to come home. They're late and both kids are hungry. Ted's on the front porch with his dog, Chase, when suddenly Chase is up and alert. They see a huge dog where the pasture lands meet the woods and hear a mournful howl, and Chase breaks free to pursue it. Ted's parents do finally arrive with all their possessions, but Chase doesn't return. T.L. 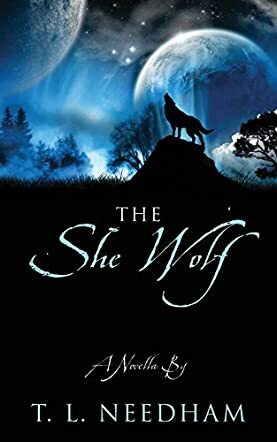 Needham's young adult and preteen coming of age fantasy, The She Wolf, is engaging and quite fun. Ted's adventures in the woods across from his house are marvelous, and the author's deft touch with nature writing makes each scene come alive. Coming of age stories are one of my favorite genres and The She Wolf did not disappoint my expectations. Ted conquers fears and risks parental displeasure and injury to find his missing dog. Along the way, he discovers an inner strength and resolve, and comes to appreciate and love the natural surroundings of this new home and its inhabitants. There's so much to The She Wolf: adventure, mystery, fantasy and football, and it's all beautifully put together. It's highly recommended.